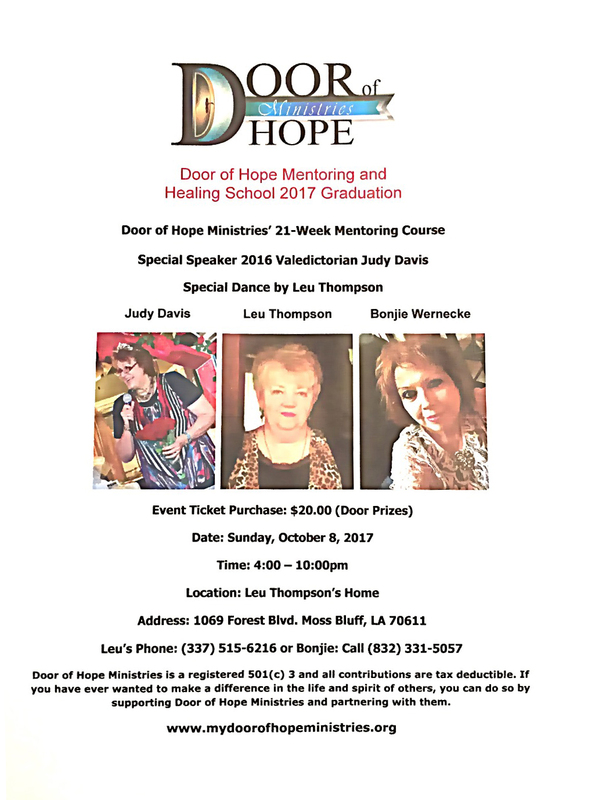 Door of Hope Ministries offers a 21 week study course designed to minister to all five areas of an individual’s life…spiritually, emotionally, physically, financially, and socially. 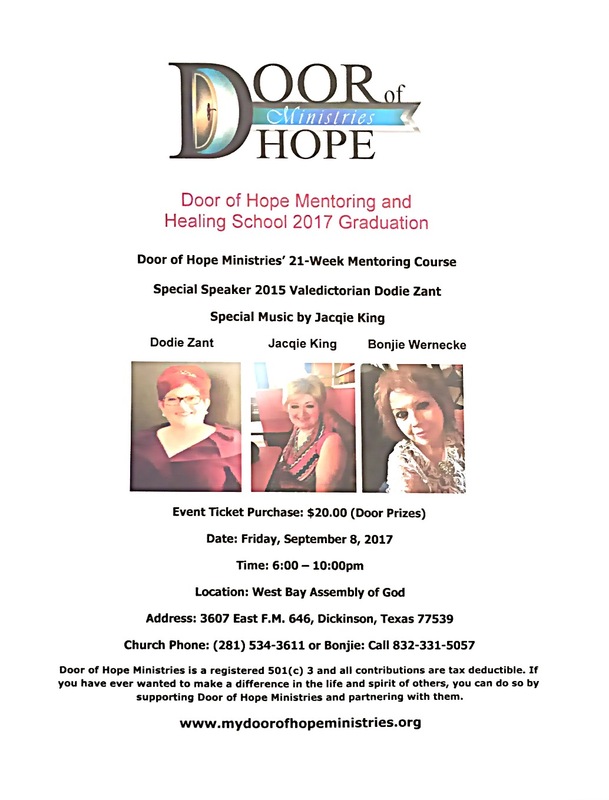 We would love for you to join us in one of our classes! You can find more information on our Class Information Page. It’s all about HIM and YOU!